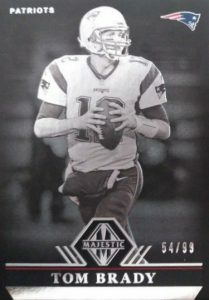 Showcasing a dark design, 2017 Panini Majestic Football is a new entry into the high-end hobby. A total of eight hits come in every box with four autographs and at least one of these being hard-signed. Combining to average two per box, the base set and parallels are numbered to 99 copies or less with 100 cards. However, the real action takes place in the hit department. 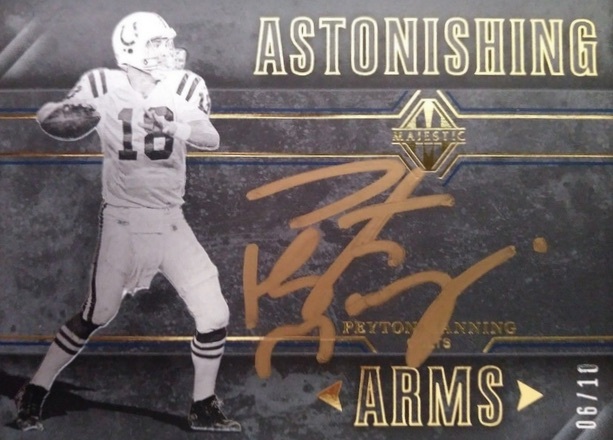 Leading the way are the on-card autographs, numbered to 99 or less, including Astonishing Arms for top QBs, Distinguished Defenders, Regal Runners and Wondrous Receivers. 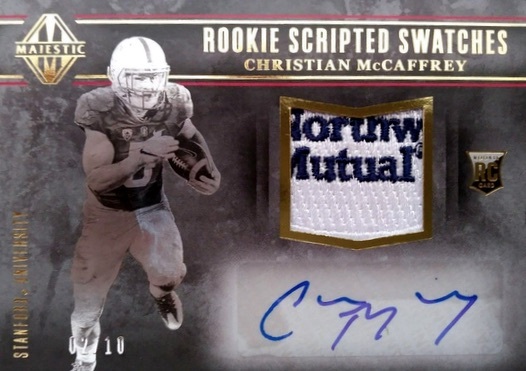 Moving to the 2017 draft class, Majestic Rookie Signatures cards are limited to 49 or less, while Rookie Scripted Swatches offers the earliest autographed prime relics for the incoming players. Collectors can find Dual, Triple and/or Quad autograph versions, depending on the insert line. Falling at an equal rate as the autographs, the 2017 Panini Majestic Football memorabilia cards present even more collecting variety. 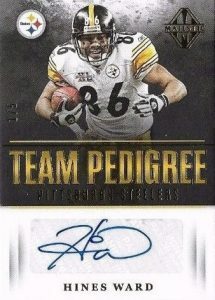 Team Pedigree Materials takes a team approach and Unsung Warriors Materials opts for fan favorites. Centering on the current and former NFL legends, the Exalted Triple Materials set is limited to 50 copies or less. Additions insert relics come with Icons Materials and Protégés Materials. 2017 Panini Majestic Leonard Fournette SP Auto 4 10 LSU Jacksonville Jaguars! PARALLEL CARDS: Gold #/25, Red #/10, Green #/5. PARALLEL CARDS: Gold #/25 or less, Red #/10 or #/5, Green #/5 or 1/1. PARALLEL CARDS: Gold #/25 or #/10, Red #/10 or #/5, Green #/5 or 1/1. PARALLEL CARDS: Gold #/49 or less, Red #/25 or less, Green #/5 or less. PARALLEL CARDS: Gold #/49 or less, Green 1/1. 10 cards. Serial numbered #/50. Shop on eBay. PARALLEL CARDS: Gold #/20, Red #/10, Green 1/1. 9 cards. Serial numbered #/5. Shop on eBay. PARALLEL CARDS: Gold #/2, Green 1/1. 15 cards. Serial numbered #/50. Shop on eBay. PARALLEL CARDS: Gold #/20 or #/15, Red #/10, Green 1/1. PARALLEL CARDS: Gold #/49 or less, Red #/10 or less, Green 1/1. PARALLEL CARDS: Gold #/75 or less, Red #/10, Green 1/1. PARALLEL CARDS: Gold #/25 or less, Red #/20 or less, Green #/5 or less. PARALLEL CARDS: Gold #/25 or less, Green 1/1. 20 cards. Serial numbered #/75. Shop on eBay. PARALLEL CARDS: Gold #/50 or #/25, Red #/10, Green 1/1. 4 cards. Serial numbered #/3. Shop on eBay. 97 cards. Shop on eBay. PARALLEL CARDS: Gold #/49 or less, Red #/25 or less, Green #/5 or 1/1. PARALLEL CARDS: Gold #/49 or less, Red #/10, Green 1/1. PARALLEL CARDS: Gold #/75 or less, Red #/25 or less, Green 1/1. VERY DISAPPOINTED, I’VE BOUGHT OVER $750 WORTH OF GROUP BREAKS AND WATCHED 5 BREAKS SO FAR AND THE HITS FOR $1875/CASE IS BEYOND INSULTING. PANINI FAILED BIG TIME HERE. YOU’RE LUCKY TO GET 1 DECENT ROOKIE IN A CASE. LEAF TRINITY WILL BE 100X BETTER THAN THIS PRODUCT. HECK, PANINI SCORE IS BETTER THAN THIS. Looked so promising but such a terrible product. The cards are not well-distributed amongst the teams and for the price point, you really go no bang for your buck. Stay away at all costs. 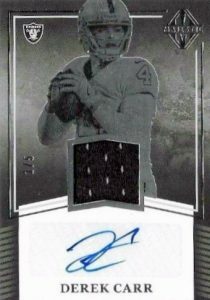 Looks even with Honors, Panini couldn’t clear the football warehouse. So what to do? 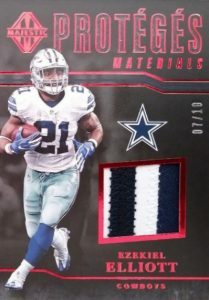 Put in all the leftovers from your last year’s rookie premiers and your NCAA double stuff (all stickers, swatches etc.) and let some of your contracted legends sign some cards (just re-use the 2016 Black Gold design and make it a bit more greyish) and here we go a brand new 2017 Premium product! 370$ a Box! That’s fun! No one will notice that those NCAA rookies are actually no true rookies just put a RC on and it’s fine, people even bought 2016 Honors and it’s shortly after the draft so that’ll work! I can’t even blame Panini for this shabby product, group buyers and gamblers seem to buy even this stuff, so jokes are now on those who buy! For those who’re still in their right mind and think that money wasting isn’t the right thing to do, please please stay away from 2017 Panini Majestic. 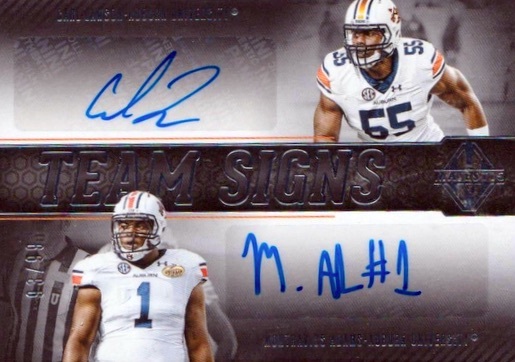 By far, Panini’s most overhyped, overpriced and under-delivering football product to date. 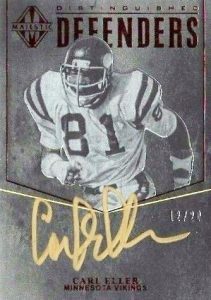 Lots of no-name veteran autos, single color patch relics and horrible team collation at a price point in excess of $350 a box make this a n all time avoid in the world of high end football cards. If Panini had any decency they would recall this product in its entirety on the grounds of sheer decency to its customers. should be called majestic patriots and cowboys and a few rookies…. 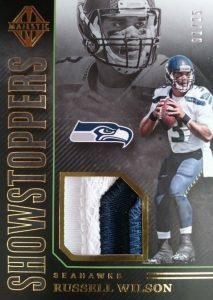 other than that looks like momentum and limited had a baby in honor of topps diamond. Too many stickers. What a disaster. 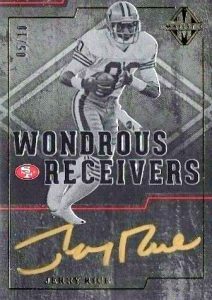 “Regal Runners” and “Wondrous Receivers”? $300+ a box? Yikes! Wish I could give this a negative. I got a box for over $400… and if I’m lucky, I could potentially sell everything for less than $100! All I’m really after is the OJ Howard NCG patch autos, and after dropping 425 on a box of nothing, I cant afford the one that sold for $110 haha! no stars,did not buy it cause it looks horrrrrible!!!!!!!!!!!! If there was an option to leave negative stars, this product would get it cause calling it garbage would actually be an insult to garbage. Seen and been in about 5 cases worth of this and the price point is beyond incomprehensible. The best card we got didn’t even get half our money back for a box. 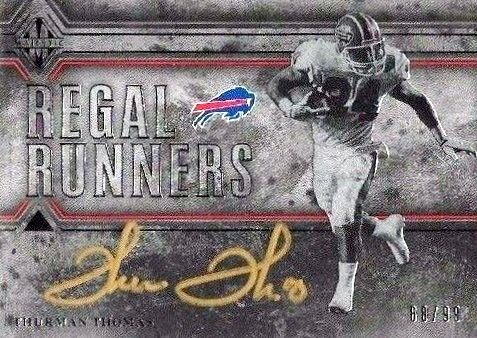 Not a fan of the gold ink autos with the card stock, doesn’t bold well i.m.o. WAYYYY to many relics for the price point, and the rookie autos are beyond horrendous, vets aren’t much better.